I’ve always been a lover of brown rice, but have been on a grain-free diet for the past four weeks. 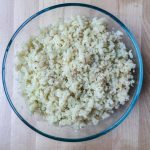 In order to not go insane, because I really liked grains, I’ve been on the lookout for grain-less alternatives to my favourite dishes/recipes. What I’ve discovered on my grain-free journey so far is: 1) it’s not as bad as I thought and 2) vegetables and nuts/seeds can do a pretty darn good job to replace the grains you thought you’d die without. 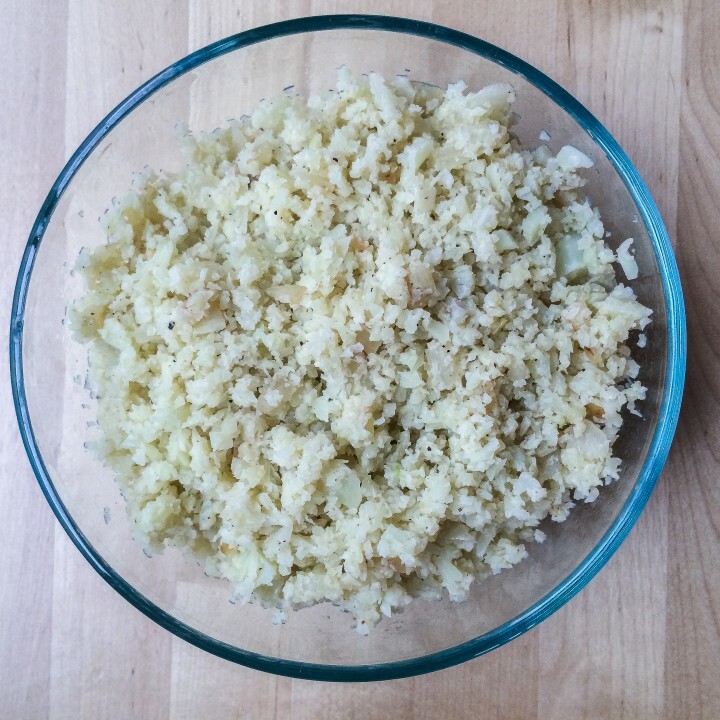 This brings me to the CAULIFLOWER, and it’s wonderful ability to serve as a starch imposter. Without further adieu, here is my recipe. Give it a try! 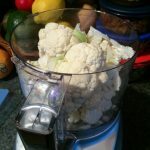 Roughly chop up one raw cauliflower (for the purposes of putting it into a food processor). 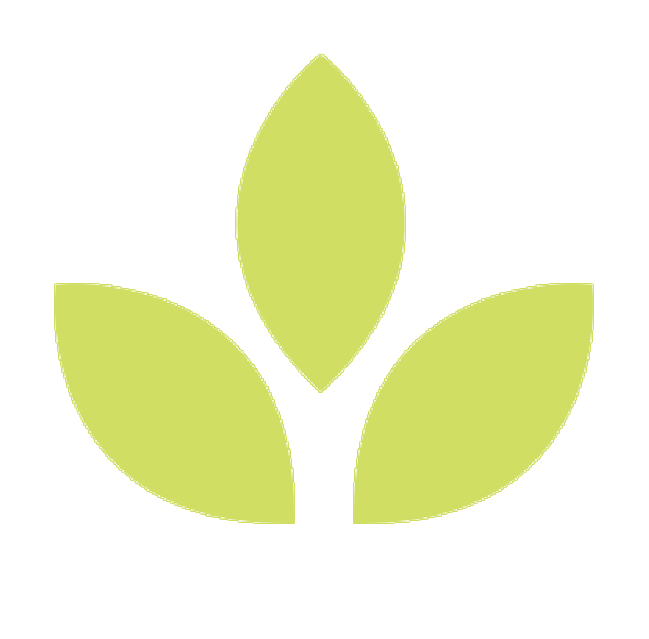 Discard the tough stem part. 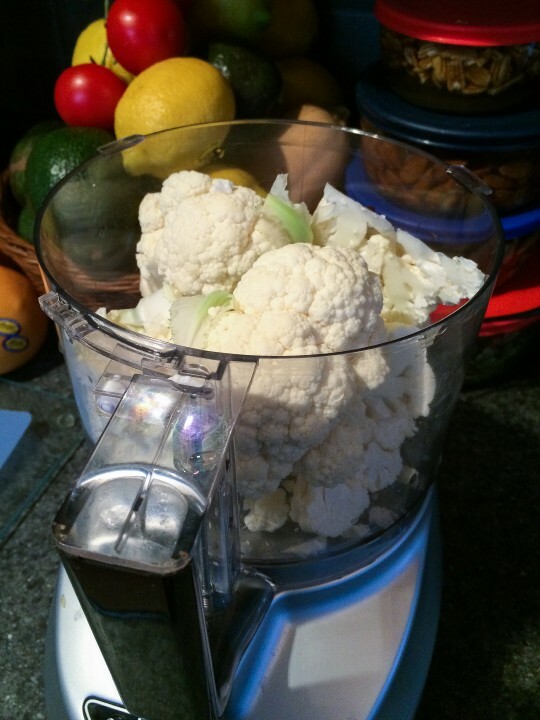 Put 1/2 your chopped cauliflower into a food processor. Do not overfill it. 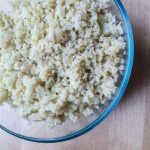 Pulse it until it's finely chopped; think rice-size. 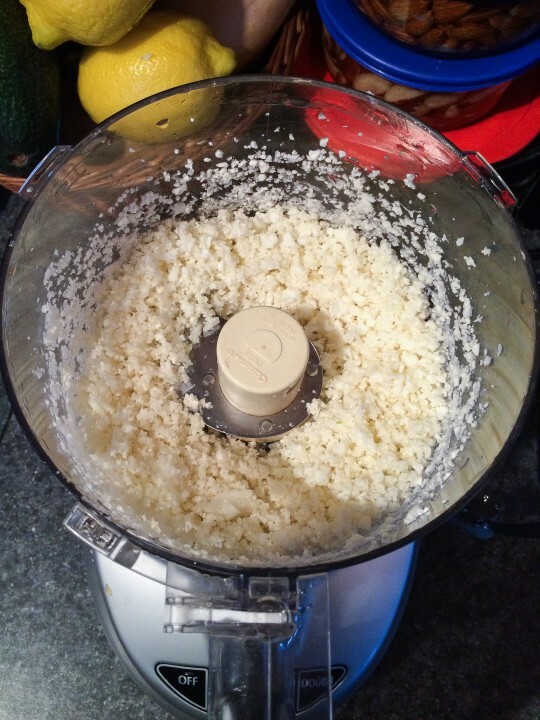 Keep checking to see where you're at-- DO NOT OVER CHOP or it will be puréed and not ricey! Repeat step 2 with the second 1/2 of your cauliflower. Dice your onion and garlic. 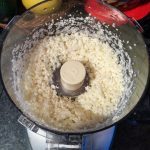 In a large frying pan, lightly sauté your diced onion and a diced garlic in organic butter or coconut oil until just softened. Add your "riced" cauliflower. Sauté on medium heat for 6-8 min, or until it has the consistency of rice. Be sure not to overcook it. Season with pepper and Himalayan or Celtic sea salt to taste.